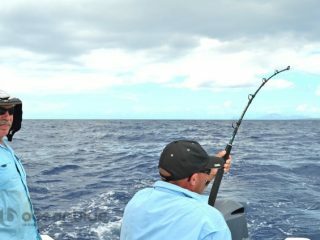 Bluewater Fishing Action for Team Airey! 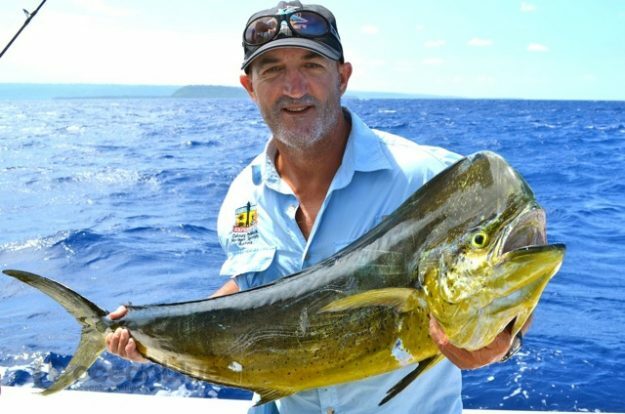 Family members Craig, Nathan, Hayden Airey along with friend Martin Austin came here to experience an all round Vanuatu Bluewater fishing and great week away at Trees & Fishes. 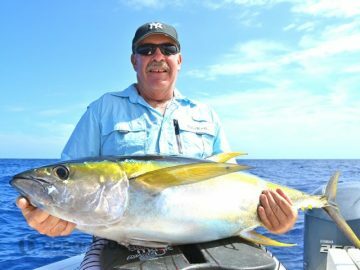 Putting in their own words Trees & Fishes was “as good as it gets”, taking away some great fishing, heaps of laughs and many memories shared. 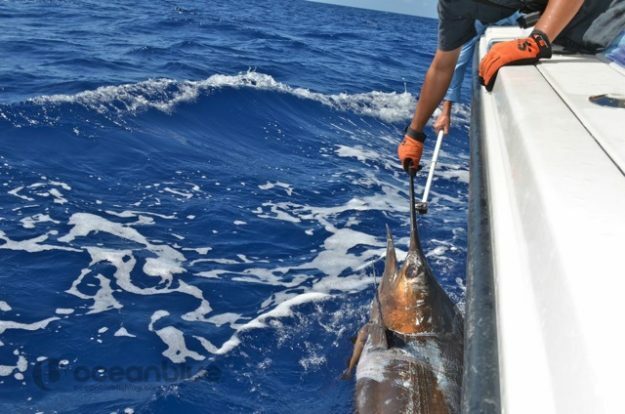 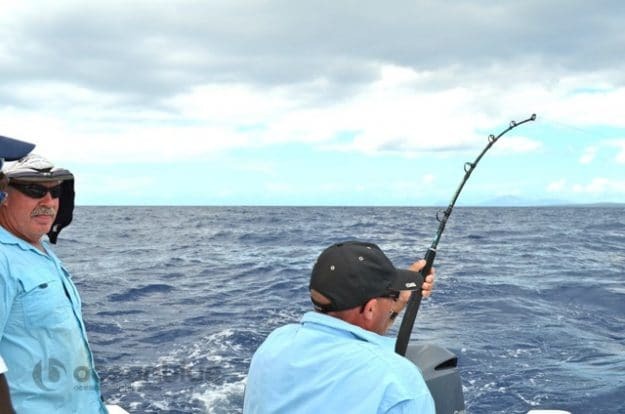 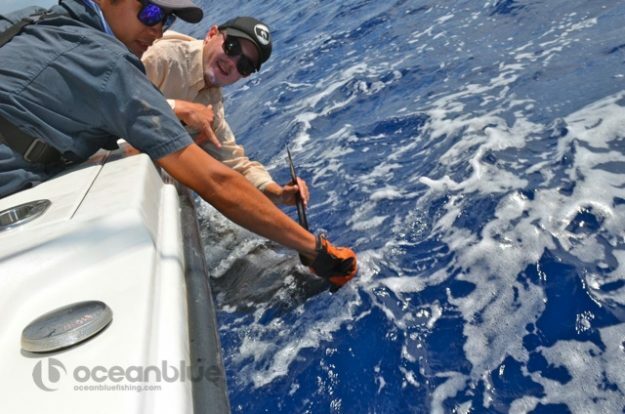 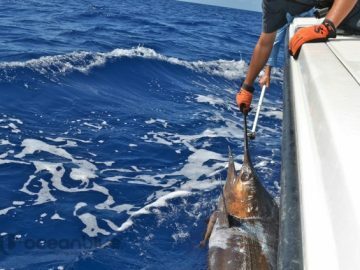 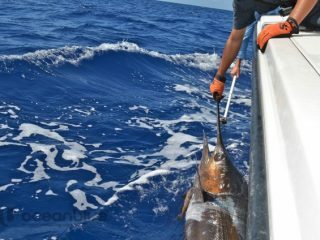 Vanuatu is renowned for its blue marlin and game fishing. Its many volcanic island drop off steeply into some of the deepest and bluest water, creating the perfect environment for marlin, oversize yellowfin tuna and monster sailfish. These four gentlemen got to explore our pristine waters over this 4 day bluewater adventure. 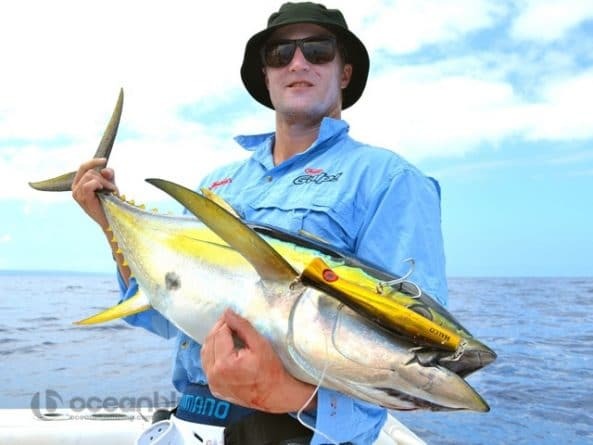 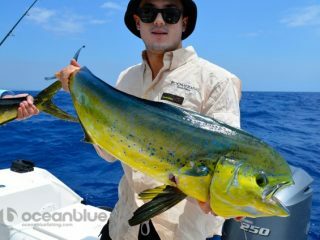 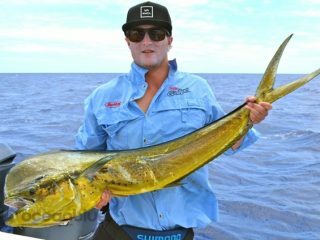 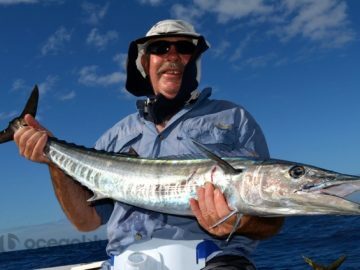 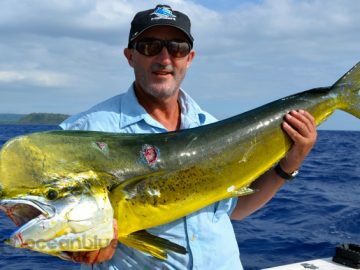 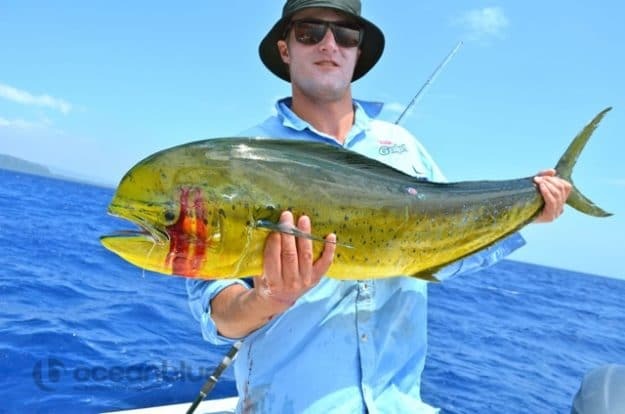 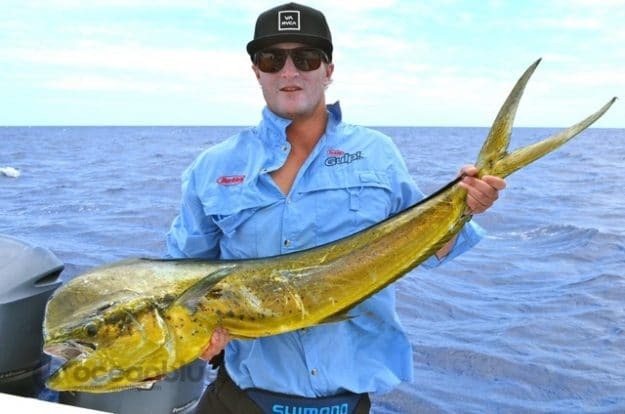 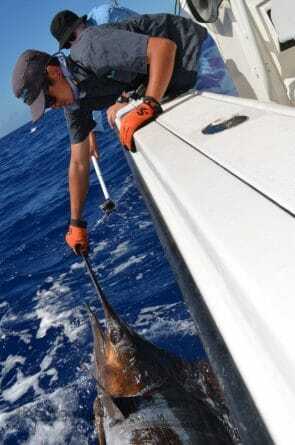 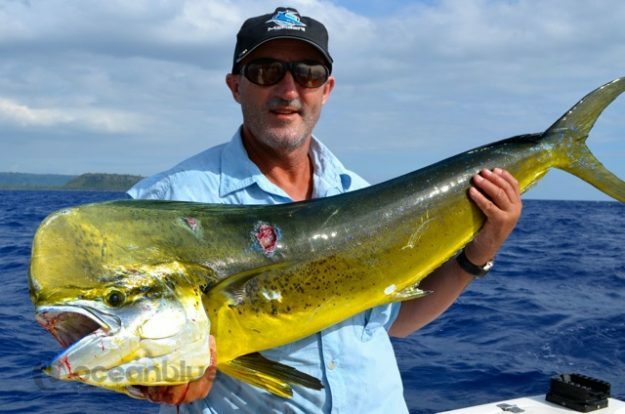 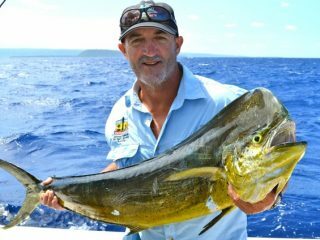 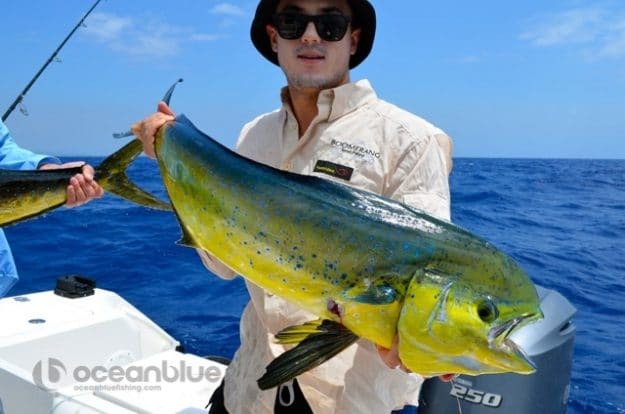 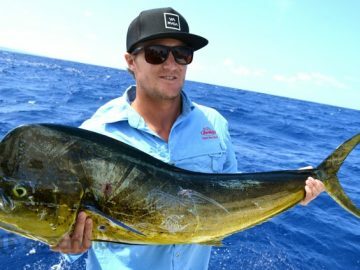 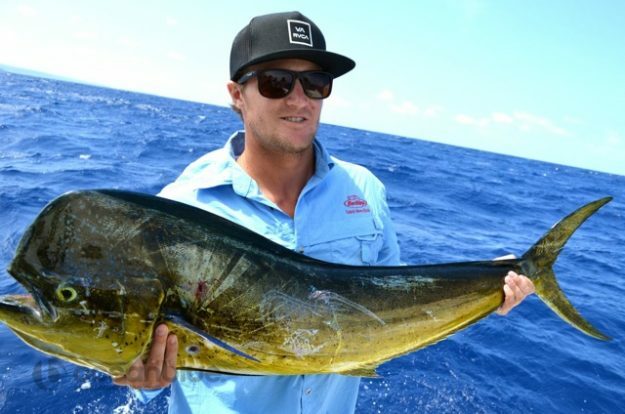 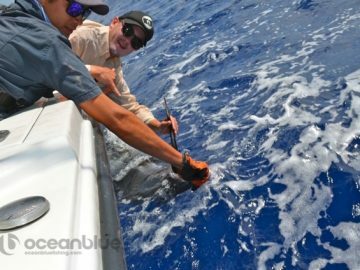 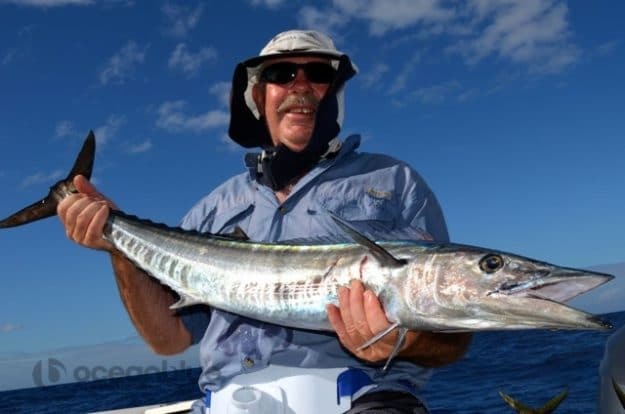 Some of their hook-ups included a 150kg blue marlin by Craig, a 35kg yellowfin tuna by Martin, 25kg yellowfin on popper by Nathan, a display of green & yellow mahi mahi by Hayden and plenty more other fish species caught on the by-catch. 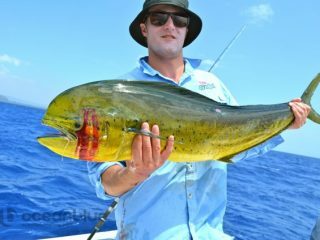 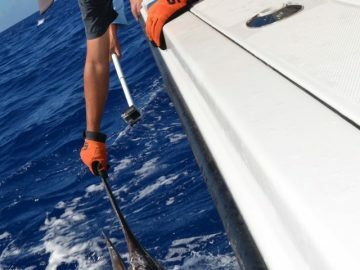 By the end of their trip the guys had witnessed some great weather, experience some epic days on the water and come to face to face with some quality fish.